The Walter Camp Football Foundation has announced its All-America Alumni NFL Offensive and Defensive Players of the week for games ending December 28. Drew Brees completed 25-of-26 passes for 412 yards and three touchdowns as the New Orleans Saints defeated the Jacksonville Jaguars, 38-27. 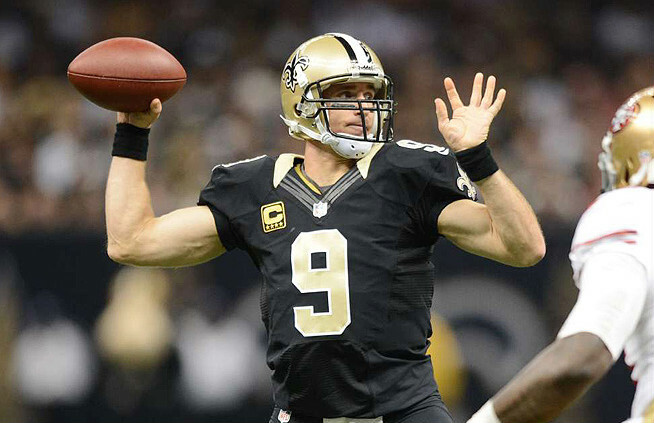 A collegiate standout at Purdue, Brees was a two-time Walter Camp All-America Second Team honoree (1999 and 2000). Akeem Ayers recorded four tackles, 0.5 quarterback sacks, and recovered two fumbles (including one for a touchdown) as the St. Louis Rams defeated the Seattle Seahawks, 23-17. A collegiate standout at UCLA, Ayers was a 2010 Walter Camp Second Team All-American.